The Climate Reality Project is bringing the facts about climate change into the mainstream and engaging the public in conversation about how to solve it. Climate Reality helps citizens around the world discover the truth and take meaningful steps to bring about change. Founded and chaired by Al Gore, Nobel Laureate and former Vice President of the United States, The Climate Reality Project has more than 5 million members and supporters worldwide. It is guided by one simple truth: The climate crisis is real and we know how to solve it. is a 20-minute, fast-paced, fact-filled look at the underside of our production and consumption patterns. 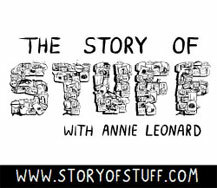 The Story of Stuff exposes the connections between a huge number of environmental and social issues, and calls us together to create a more sustainable and just world. through its “Lighting a Billion Lives” campaign aims to provide 200 million solar lanterns to rural households across the world, touching one billion lives, which presently use kerosene or biomass for meeting their most basic lighting needs. Virtual March is a non-political effort to declare that global warming is here now and it’s time to act. This is a movement about change, as individuals, as a country, and as a global community. ACE is a national nonprofit dedicated to educating America's high school students about the science behind climate change and inspiring them to do something about it—while having fun along the way. Teachers and students give ACE presentations rave reviews. is a campaign of Environmental Defense and Forest Ethics, two of Canada’s leading environmental groups. The campaign has been set up to challenge the Canadian government to make a difference. Parents are helping by uploading pictures of their kids to the "WALL." and thousands of individual from around the world and take part in a series of international events which will bring attention to climate change. Help further the debate and the discussion, suggest strategies and be part of a more focused response to Climate Change. The Climate Summit will bring together national and international leaders in the environmental and climate movements via TelePresence, a 21 century, low carbon footprint - virtual - conference experience. is a multimedia organization that documents leaders (individuals and organizations) around the world who are devoted to extraordinary causes. Explore came to our attention through a piece they did on Earth University in Costa Rica. Both educational and inspirational, Explore creates a portal into the soul of humanity by championing the selfless acts of others. Explore features a wider range of topics from animal rights, health and human services to poverty, education, spirituality and the environment. At Climate Mama we see climate change as a complex and multidimensional challenge which encompasses, affects and is effected by, all of the topics which Explore features. 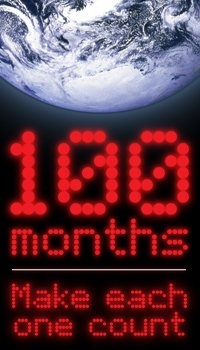 began in 2008, counting backwards, on a monthly basis from 100. The organization seeks to bring attention to climate change, and what the lack of action will do, 100 months from the beginning of the campaign; will we have reached the "tipping point" or "point of no return?" Sign up for monthly newsletters and updates. We need to work towards creating an urgency around the issue of climate change if we have any hope of mitigating the effects we have already put into motion. works to reduce the number of unwanted mailings you receive, and to promote the adoption of sustainable best practices for companies. Catalog Choice accomplishes this by providing the Catalog Choice Mail Preference Service, free, to both consumers and businesses. Consumers can indicate their mail preferences, and sign up for Email news, and businesses can receive the lists in a secure manner so that they can efficiently honor the requests. Join Catalog Choice today and help reduce landfills and save some trees at the same time! Help create the political will to fight climate change. Demonstrate support for real climate solutions, including carbon fees and green checks, smart regulation and public investment. Be part of the solution - the WRITE WAY - help stop climate change and write to your government representative now. Join the Million Letter March and let your government representative know that you expect them to stand up and be counted in the quest to solve the climate crisis. 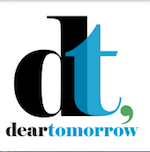 was created to reach across regional, ideological, and ethnic borders, to empower youth to organize, and be heard on the issue of global climate change. Today’s youth are the generation who will suffer most from its consequences, but also intend to be the generation who will bring about the CHANGE needed to create a sustainable and just society that values nature and future generations as much as short term interests. In New York City, the “be the E” campaign lets New Yorkers know what’s happening in their city around Earth Day. The “E” Campaign is designed to educate and inspire people to take positive action for the Earth. According to EarthDayNY.org: “I am E is rooted in the notion that everything on Earth is interconnected. The EDAY call to action, “be the E” is a campaign that focuses on ten E actions highlighting the wide range of choices people can make to contribute to a more sustainable city and world.” You don’t have to be from NYC to learn something from the EDAY campaign. Explore, pick an action, make a difference and get involved! Also, make sure to find out what’s happening in your city or town on Earth Day. Plan your own celebration too! Get the kids involved and celebrate the Earth - on April 22nd - and every day! helps us "put it in perspective" and understand the scope and size of the problem single use plastics create, and why we all need to move aggressively to refuse, reduce, reuse and recycle." Plastic Pollution Coalition is a global alliance of individuals, organizations, and businesses working together to stop plastic pollution and its toxic impact on humans, animals and the environment. (MCAF) is harnessing the POWER and PASSION of MOMS to fight back against polluters. Through MCAF, Moms are joining together for our children's right to clean air. "The Health of Future Generations is At Stake." Organizing campaigns and meetings, bringing important facts and information to light on the website, MCAF is a great resource for Moms and Dads. The Green Moms are a diverse group of women bloggers, not all of whom are moms, united by the desire to use the power and reach of our blogs to discuss topics of common environmental concerns. By repeating our messages together – the same topic at the same time – we can reach more people than we ever could individually with a basic message of: Reduce, Reuse, Recycle, Refuse (and avoid toxins and plastics!). ClimateMama is proud to be part of the Green Moms Carnival. Visit Green Moms Carnival for a complete blog roll list! 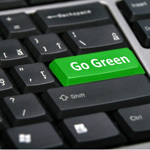 focus is on educating young people in the area of energy conservation, efficiency, and renewable energy generation. Targeting young people from kindergarten through 12th grade, Zilowatt helps establish environmentally sound habits and encourages children and teens to come up with creative solutions for a sustainable future. Zilowatt provides teachers, parents, and organizations with tools to creatively engage young people and maximize those "ah-ha" moments on sustainable living, in a fun and interactive way! is a climate-action superhero who fights global warming by inspiring informed personal action. A series of webisodes highlight the adventures of the Green Ninja as he negotiates some of the trickiest areas in climate science. Accompanying resources highlight the facts behind the webisodes. Also available, are educational resources for teachers to bring the Green Ninja into the classroom. Green Ninja webisodes are a great sharing opportunity for parents and children of all ages! The Green Ninja project is a collaborative effort between scientists, educators, and artists to create compelling experiences that illustrate the connections between humans and our changing climate. The project is based at San Jose State University (SJSU) and includes faculty from the College of Science, College of Humanities and the Arts, and Spartan Film Studios. 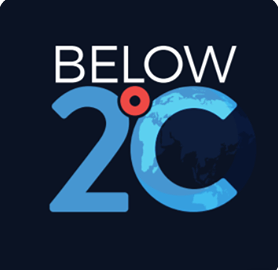 is an online toolkit for people looking to communicate the facts and reality about climate change to non-scientists (that would be most of us!) Climate Bites uses humor, metaphors, quips, quotes and narratives to help us understand the nuances and science behind climate change. Even your "old Aunt Bessie" will be more inclined to pay attention and tune in if you use the tools that Climate Bites provides! Is a wonderful go to resource for you and the children in your life. Tiki, which means "talisman" or lucky charm, is on a grand quest to make our world a better and more caring place. Along the way, Tiki helps us understand more about climate change, why it is happening and what we can do about it. Tiki does this in an engaging and fun way using stories told directly by Tiki that captivates children and parents alike! mission is to engage individuals in climate change by motivating them to take simple, measurable actions to conserve energy. Collectively, these actions, and an increased awareness of energy, is making a significant impact on global warming. Cool the Earth was founded in 2006 by concerned parents as a product of their passion to raise awareness and effect change about the climate crisis. The school-to-home program is active in over 300 schools throughout the country. The award-winning program has catalyzed over 245,000 pledges to take energy-saving actions, saving over 172 million pounds of carbon dioxide from being released into the atmosphere. Find out more, get your kids school involved today! is a national organization that works to eliminate toxic chemicals that impact women’s health by changing consumer behaviors, corporate practices and government policies. Women's Voices for the Earth's vision is for a world in which ALL women have the right to live in a healthy environment, free from toxic chemicals that adversely impact their health and well-being. The organization rightly defines women as leaders in our world, where corporate practices and government policies set by and in conjunction with women ensure that the water we ALL drink, the food we ALL eat, the air we ALL breathe, and the products we ALL use in our homes and workplaces are not contaminated with toxic chemicals that may impact our health. is a galvanizing and organizing place for mothers to come together to protect their children from the powerful forces and adverse impacts of the the fossil fuel and nuclear industries. The Mothers Project is also a place to advocate for the development of clean energy sources. Founded by Angela M. Fox, mother of Josh Fox, the creator of the Gasland movies, The Mothers Project is expanding in many states around the US, give them a call and get involved! is a wonderful teaching tool for families, classrooms, and organizations. Young Voices for the Planet is an awarding-winning film series featuring inspiring young people who are making a difference. They are shrinking the carbon footprint of their homes, schools and communities. Learn how our children are "leading by example" and helping us all see what we can do about global warming! mission is to bring attention to another critical climate forcing greenhouse gas - METHANE - that CAN be reduced in the near term, with coordinated action. Through the development of intelligent and well-informed near-term climate choices we CAN help alleviate our immediate crisis, without ignoring our long-term goals and needs. In this way, 1250 provides an important complement to the 350 movement. 1250 is not just an advocacy group for methane cuts, however. Rather, it is a group focusing on near-term climate as a whole, and the remaining practical pathways to constructing a ‘climate bridge’ towards a stable and sustainable future, towards the world of 350.
is committed to offering women the ongoing inspiration and support to help them achieve their goals. If we talk openly about the challenges women face and work together, we can change the trajectory of women and create a better world for everyone. Find out how you can be, not only part of the conversation, but part of the solution! is made up of grandmothers, mothers and other caregivers whose goal is to transition society away from fossil fuels to clean energy. Through a commitment to protect children's lives, Mothers Out Front uses house parties held in living rooms, church basements and community centers to share personal stories and educate volunteers about the science and urgency of climate change - building relationships and developing volunteer leaders through ongoing training and coaching. mission is to educate communities on alternatives to fossil fuels and to provide solutions so that we can all make better environmental choices. 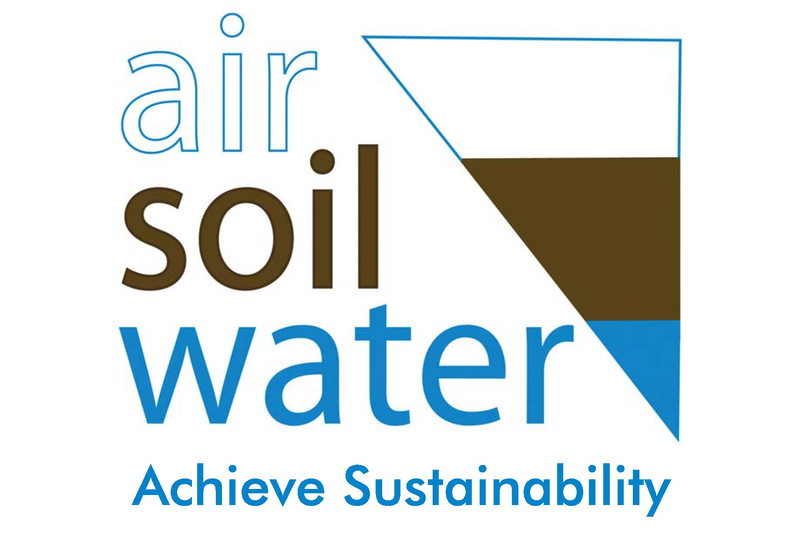 The focus for Air Soil Water is to re-frame the conversation and fight FOR renewable energy and other forms of sustainable living. uses entertainment, education and group action to engage people in the quest for ways of living that connect individual happiness with service to community and habitat.The No Impact Project was conceived by Colin Beavan, aka No Impact Man, following the success of his blog, book, and film, which chronicle his family’s year-long experiment living a zero-waste lifestyle in New York City. Living low-impact provides a clear entry point into the environmental movement for all of us! Below 2C Seeks to raise awareness about the need to limit the warming of the planet to less than 2°C; to influence our politicians at all levels to take pressing action on pricing carbon and to facilitate and accelerate our transition to a clean energy platform by 2050.
set out on March 1, 2014 from Los Angeles CA and walked across America to Washington DC, ending on November 1, 2014. Hundreds of marchers inspired thousands more to build momentum and to take action to resolve the climate crisis. This was one of the largest coast-to-coast marches in American history. The goal of the Great March for Climate Action remains critical and valid: to move the American people, elected leaders and people across the world to act now to address the climate crisis. formed as a non-profit educational organization in March 2014, in Ottawa, Canada. It's is a forum for children to talk and think about, and act on, climate change. Stay tuned and watch it grow! is a film that explores how we can embrace the knowledge of our elders to address climate change and bring a message of hope to humankind, in particular youth. The time is right for our elders to take share their wisdom as they address the next generation: our elders messages of warning and hope need to be heard now more than ever. All over the world, citizens of this planet are saying enough is enough and are looking for inspiration and help to turn things around. Learn more and find out how you can be involved! "With our future on the line, it's time to bend the course of history." 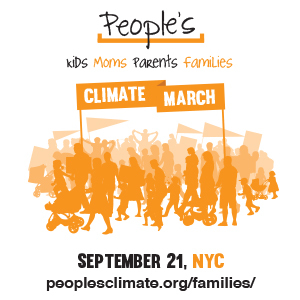 On September 21st, 2014, in New York City there will be an unprecedented climate mobilization – in size, beauty, and impact. Our demand is a world we know is within our reach: a world with an economy that works for people and the planet. In short, a world safe from the ravages of climate change. Join. If you can't be in New York, find an event near you. (formerly IWECI) is a solutions-based, multi-faceted effort established to engage women worldwide to take action as powerful stakeholders in climate change and sustainability solutions. WECAN engages women grassroots activists, Indigenous and business leaders, scientists, policy makers, farmers, academics and culture-shapers in collaboration. WECAN's primary goal is to stop the escalation of climate change and environmental and community degradation, while accelerating the implementation of sustainability solutions through women’s empowerment, partnerships, hands-on trainings, advocacy campaigns, and political, economic, social and environmental action. is a project of TERC and the National Science Foundation. TERC is an independent, research-based organization dedicated to engaging and inspiring all students through stimulating curricula and programs designed to develop the knowledge and skills they need to ask questions, solve problems, and expand their opportunities. TERC’s mission is to improve mathematics and science education. Innovate and Mitigate has been established to encourage middle school and high school students to "think out side the box" to come up with ideas on how to address climate change by reducing greenhouse gases. is a campaign, a movement of elders committed to making our voices heard...to change our nation’s energy policies while there is still time to avoid catastrophic changes in the Earth’s climate. Because of this concern and because we are the largest voting bloc, we elders are in an unique position to influence national policy and can use that power to push for policies that will reduce greenhouse gases to a level consistent with life thriving on our planet. .
is a story telling campaign, inspiring people to send open letters, photos and videos about climate change to loved ones living in the future. We are building an archive of the messages in order to preserve this important moment for future generations. These messages will be released in the years 2030 and 2050.
is a pioneering Save the Children initiative designed to help US communities prepare to protect and care for the most vulnerable among us in times of crisis – our children. 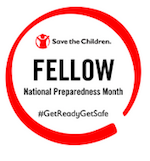 We help generate child-focused emergency plans, provide emergency training and ensure emergency resources are in place before crisis strikes.We keep kids safe, securing the future we share. Creating a safe haven for children to work through their emotions. Providing the coping skills to help reduce the effects of disasters on young minds. Because we want our kids to just be kids, no matter what happens. advocates for the United Nations and is a platform for connecting people, ideas and resources to help the UN solve global problems. By building partnerships, growing constituencies, mobilizing resources and advocating policy changes the UN Foundation supports the UN’s work for individual and global progress. 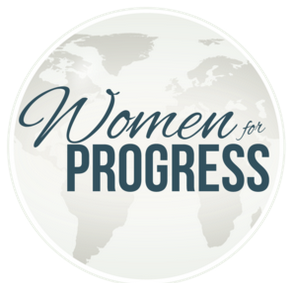 Women for Progress is a network of women from around the globe, based in northern New Jersey. Our goal is to bring awareness through education, volunteering and financial assistance to progressive causes including: women’s health, gun violence prevention, environmental protection, public education and human rights. Generation 180 is committed to advancing the transition to clean energy and supporting a cultural shift in energy awareness through original, engaginging content, digitally-enabled campaigns and and empowered volunteer network. Find out more and get involved! Are you looking to expand your outreach with parents of all ages who are interested in making the world a better place for their children? Do you have a product, a service, or an organization with an underlying environmentally sustainable philosophy or goal? Please email us at info@climatemama.com with “Sponsorship” in the subject line for more information on our current commitment levels, sponsorship programs and target market outreach. We tailor sponsorships to individual organizations and companies based on the following broad criteria: number of employees, profit or not-for profit, length of sponsorship, 0-6 months, 6-months to a year, or annual sponsorships. At this time, we have a limited number of sponsorship opportunities available in the for profit and not-for profit categories. It is important to us that our target market has a clear picture of whom we CHOOSE to have support Climate Mama, and that they know that we stand behind all of our sponsors 100%.